(Minimum Order: 12) OK to combine colors to meet minimum order requirement. 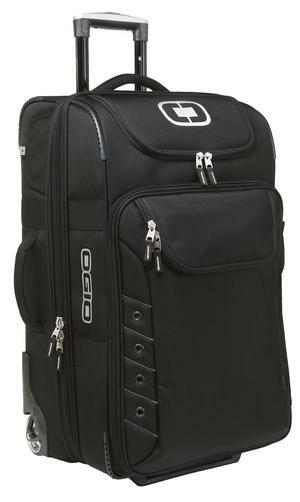 OGIO® Canberra 26 Travel Bag - Free Setup, Embroidery & Shipping! Say “g’day” to your next big adventure with a bag that can hold, organize and protect it all. Imprint Area(s):FrontPocket Centered 4" Dia.